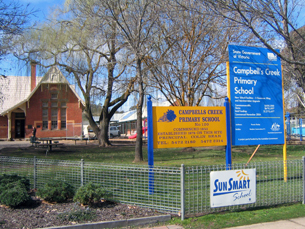 A number of schools throughout Victoria. 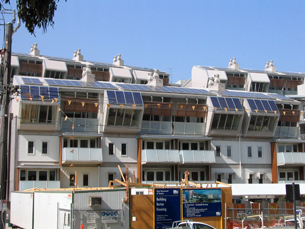 The new Federal Government Solar Credits scheme has been expanded to include commercial businesses. In addition, businesses can take advantage of the Victorian Feed-in Tariff for system sizes up to 5kW. Solar Charge has installed numerous school commercial grid connect solar systems under the National Solar Schools Program. Contact us for further information and assistance to apply for the National Solar Schools Program grants. Contact us for more information on what the current Government incentives will mean to you. High profile commercial grid connect solar power systems designed and installed by Solar Charge. 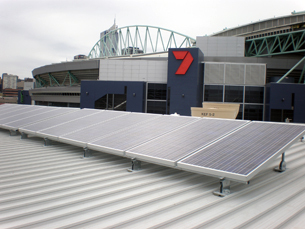 Our grids work at Channel 7 (Melbourne), K2 Sustainable Housing, schools in Victoria. Government Solar Credits scheme has been expanded to include commercial businesses using grid connect solar power.